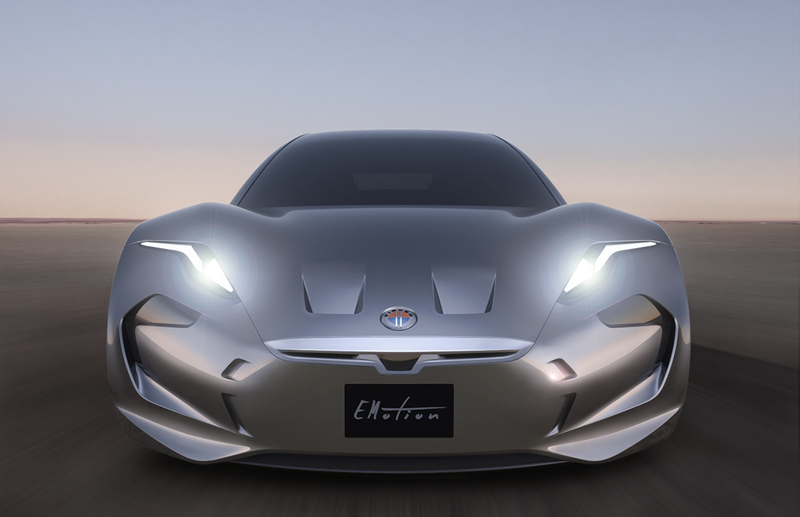 Fisker Inc., the new electric car company founded by Henrik Fisker (not to be confused with his previous venture, now Karma) has revealed the design and specifications of its first vehicle, the luxury sport sedan all-electric EMotion (see what they did there?). The car will boast a top speed of 161 MPH, and will have a 400 mile range from its electric battery. The body of the vehicle (which you can see in the renders above and below) is designed to help with aerodynamic performance, according to Fisker, Inc., helping it achieve both that ambitious range and its top speed. The look also shows how Fisker has moved the interior space forward, which the company says will help amplify the space to make it more comparable to full-size luxury sedans on the inside than to their “closest competitors,” which is almost certainly an unstated reference to the Tesla Model S.
Fisker says that the EMotion will have all the hardware required to allow for full self-driving in the future, the tech for which is being supplied by a supplier the carmaker says it will reveal soon. As a result, the interior space is designed to be able to provide access to screens and infotainment to any seat, both front and rear, for use while the car is driving itself. The EMotion now has a name and a defined look, but when is the thing actually going to ship? It’ll be produced in the U.S., Fisker says, and delivery timeframes will be made public once the actual car is first shown in public starting sometime in the middle of next year.